An atheist is bringing God back to prime-time TV. 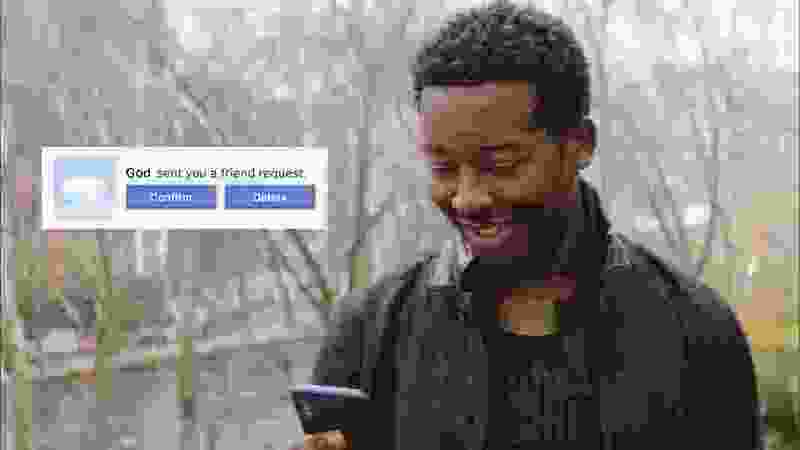 In the tradition of “Touched by an Angel,” “Joan of Arcadia,” “Highway to Heaven” and “Kevin Probably Saves the World,” the new CBS series “God Friended Me” raises the issue of whether God exists when avowed atheist Miles (Brandon Michael Hall) gets a friend request on Facebook from him. Or maybe somebody claiming to be him. Ensuing events intertwine Miles with people he helps. According to creator/executive producer Bryan Wynbrandt — an avowed atheist — the idea for the show came to him several years ago when he got a friend suggestion on Facebook from an old pal. “And a thought occurred to me in that moment — what if someone claiming to be God sent me a friend request?” Wynbrandt said. He shared the thought with co-creator/executive producer Steven Lilien, who suggested the God account would send “friend suggestions every week” about people Miles could help. To be clear, “God Friended Me” is about faith, but it isn't definitively about God. We don't know if it really is God communicating with Brandon, and the producers hope that's a question they'll answer “200 episodes from now,” Wynbrandt said. And it’s always somewhat tricky when God becomes part of network TV. As is generally the case, “God Friended Me” is, by design, nondenominational. Miles’ father, Arthur (Joe Morton, “Scandal”), is an Episcopalian minister, but the show is populated by characters who are Hindu, Jewish and, yes, atheist. In addition to Lilien and Wynbrandt, the writing staff includes “lots of voices and different religions and different backgrounds,” Wynbrandt said. 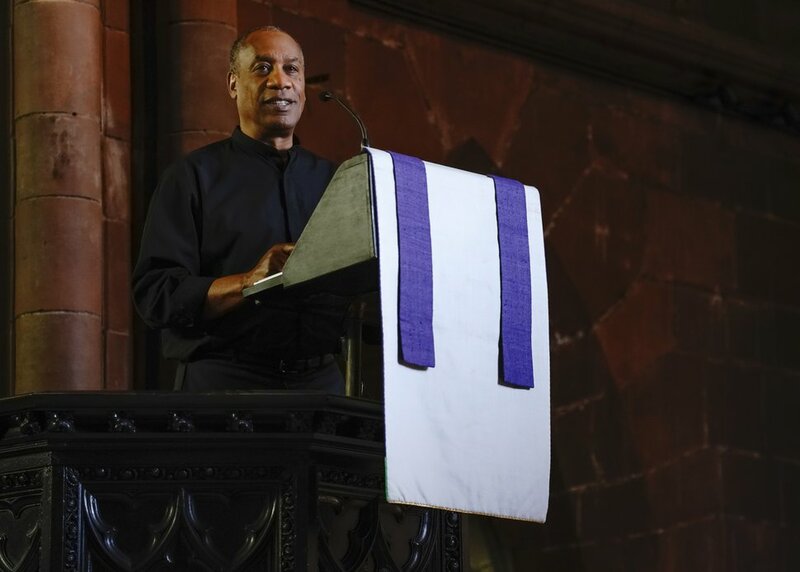 (Photo: Jonathan Wenk/CBS) Joe Morton as the Rev. Arthur Finer in "God Friended Me." “God Friended Me” makes its broadcast premiere on Sunday, Sept. 30, at 7 p.m. on CBS/Ch. 2; the first episode is already streaming on the CBS app, CBS All Access, CBS.com, Facebook Premieres, Twitter, Instagram’s IGTV, iTunes, Vudu, Google and Sony. The devil you say • If it turns out that God really is on Facebook, is it possible that Satan is on social media, too? Maybe. But not on Facebook. “The devil would probably be on Twitter, I think,” Wynbrandt said. Utah TV stations changing frequencies • As a result of the FCC auctioning off spectrum to wireless service providers, nearly 1,000 TV stations across the country will be changing frequencies — including six here in Utah. • Absolutely nothing if you subscribe to a cable or satellite system. No change. You won’t even notice. • You will have to rescan channels on your TV if you use an over-the-air antenna. The process varies from one television to another, but it’s exactly the same thing you did when you bought your TV and set it up. It’s as simple as that. No additional equipment required. No big deal.